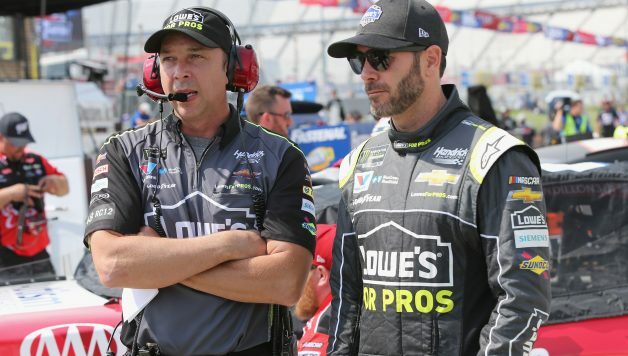 After 17 years and seven championships together, Jimmie Johnson and Chad Knaus will no longer be paired on the Hendrick Motorsports No. 48 team after this season. 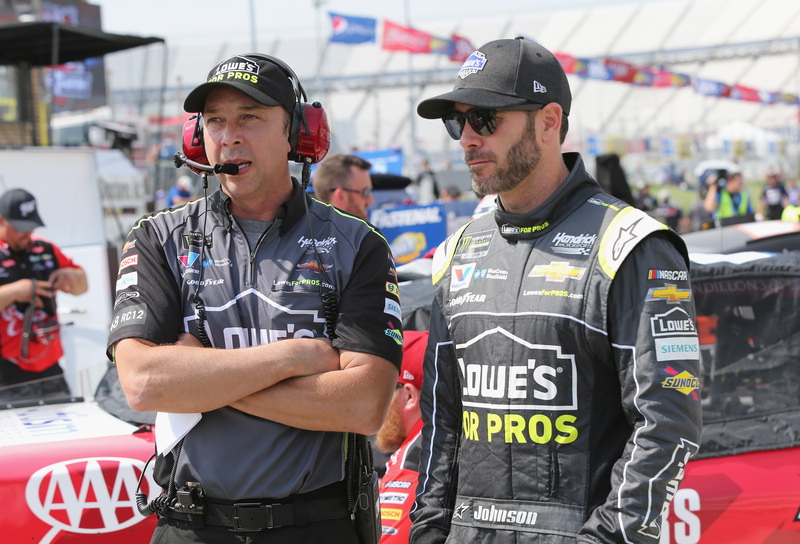 Team owner Rick Hendrick decided to switch personnel for the 2019 campaign, meaning Knaus would crew chief for William Byron and the No. 24 team. 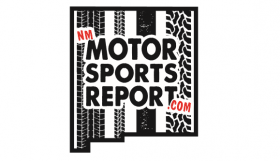 Darian Grubb will be promoted to a technical director position after sitting atop Byron’s pit box this year, and Kevin Meendering will become Johnson’s new crew chief. Most people should have seen this coming. Yes, it rattled the NASCAR world on Wednesday, but we knew the Johnson-Knaus era couldn’t last forever. They’re one of the most successful duos in NASCAR history, but even they’ve had their moments of uncertainty. In 2005, Knaus and Johnson had a communication breakdown during the finale at Homestead-Miami Speedway. Hendrick had to bring the two of them together in a meeting to help them see eye-to-eye and right the ship. Whatever Hendrick told them during that sitdown must have been ingenious because they won the next five championships — an unprecedented accomplishment in the NASCAR Cup Series. The No. 48 team won the 2013 and 2016 championships as well. But Johnson struggled throughout ‘16. Statistically, that was one of the worst seasons of his career, other than maybe the last two years. Although Knaus denied it, there were rumors that Hendrick considered splitting the two during that season. Of course, he didn’t, and they forged ahead to a record-tying seventh title. But the No. 48 isn’t what it once was. And that’s not to put any particular blame on Knaus or Johnson. When a team can’t seem to gel anymore, then something has to change. Putting Knaus with Byron is a savvy move. Byron, who’s struggled at times during his rookie season, will have one of the best ever to guide him into his sophomore year. It’ll elevate his focus and quickly make him a contender. Meendering has established himself in the Xfinity Series. He’s been Elliott Sadler’s crew chief at JR Motorsports since 2016, and the team has made the Championship 4 each of the last two years. With Sadler retiring, a promotion is coming at a suitable time. It’s the end of an era for the No. 48. Not only will the personnel be different, but Lowe’s is departing as well. Hendrick said at Dover last weekend that a new sponsor announcement will come within the next month. Knaus and Johnson have six races left together. 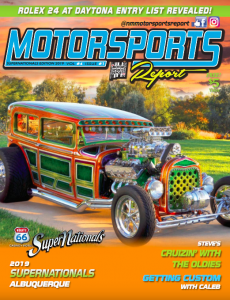 Although they won’t win a record-setting eighth title as a tandem, they’ve undoubtedly built a legacy in NASCAR as one of the greatest driver-crew chief combinations of all time. There’s nothing they haven’t accomplished together, and they should be proud of their 17-year partnership, even if they aren’t quite going out the way they had hoped. However, one thing would be sure: if they could win race No. 84, it’ll be quite an emotional and sentimental celebration.